CCJECA is pleased to announce that we are now accepting applications for the John M. Bailey Scholarship and the Francis J. Carino Juvenile Justice Scholarship. Multiple John M. Bailey scholarships will be awarded to high school seniors enrolling in college or undergraduates enrolled in college who are: 1) planning to major in any criminal justice or related field; or 2) the sons, daughters, grandsons and/or granddaughters of someone who has served in the field of criminal justice. (Criminal justice includes, but is not limited to, law, legal studies, public safety, court services, law enforcement, fire science, forensic science, juvenile/family justice, protective service, corrections, parole, homeland security, environmental protection). 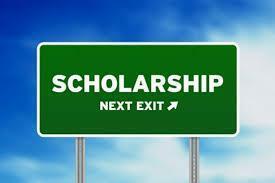 Application for both scholarships can be obtained on line at www.ccjeca.org or by mailing a request to CCJECA, P.O Box 407, Rocky Hill, CT 06067-0407.